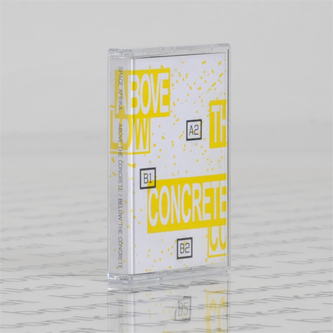 **Claggy dub techno drift from a new Manchester duo. For fans of vintage Vladislav Delay, Echospace. 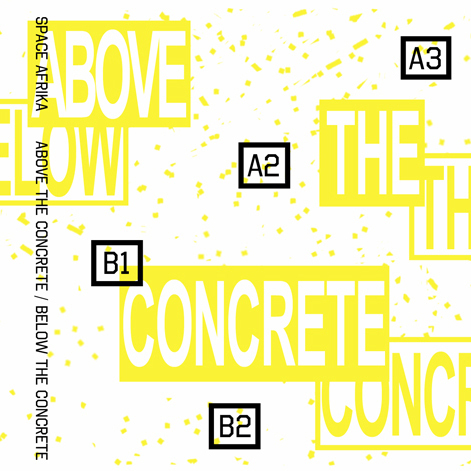 Edition of 50 housed in two-colour risograph sleeves printed in recycled paper stock** "Above / Below the concrete' is the debut 40 minute offering from Manchester duo 'Space Afrika'. Approaching from a concept based around the industrial architecture in the north west, specifically Manchester, Space Afrika employ a drifting balance of scorched soundscapes, field recordings and rolling dubbed out techno dread. There is a refreshing element of fearlessness to admire in the duos allowing of these often completely stripped back and expansive works to just roll and roll until they become their own spaces for thought. There is however continuous subtle change within this repetition of the slow stepper, throughout tracks plume towards darkness before reappearing in a new expansive light at the masterful emergence of a new percussion or a precise unfamiliar sound, an idea that is clearly intended and reinforced by the oft field recordings of high speed train travel, evoking that feeling of constantly moving between darkness and light, open and enclosed space."